The Public Company Accounting Oversight Board (PCAOB) recently released a new auditing standard for auditors expressing an opinion on a public company’s financial statements. The new standard, AS 3101, The Auditor’s Report on an Audit of Financial Statements When the Auditor Expresses an Unqualified Opinion, changes how auditors report critical audit matters (CAM) as part of an unqualified audit opinion. What is a Critical Audit Matter? 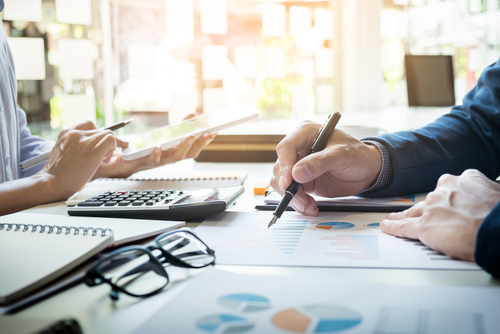 This new standard allows auditors to communicate matters regarding material accounts audited as part of the financial statement audit to an organization’s audit committee. PCAOB defines CAMs as ‘any matter arising from the audit of financial statements that was communicated or required to be communicated to the audit committee and that (1) relates to accounts or disclosures that are material to the financial statements and (2) involves especially challenging, subjective, or complex auditor judgment. Who is Subject to Critical Audit Matter reporting? Public Companies are subject to this new PCAOB requirement. The following types of public entities are not required to report CAMs in their audit reports: brokers and dealers; registered investment companies (other than business development companies); employee stock purchase, savings and similar plans; and emerging growth companies. When is the new reporting effective? What will be disclosed in the Critical Audit Matter section of the audit report? According to AS 3101, the audit report will identify the CAM, describe the main considerations that determined the matter is a CAM, and how the audit addressed the CAM. All financial statements accounts and disclosures related to the CAM must be referenced as well. Will CAMs show up in all audits? Whether an audit report will contain a CAM depends on the complexity of the financial statements audited. A significant risk identified during an audit does not automatically qualify as a CAM unless it involves especially challenging, subjective or complex auditor judgment. It is expected that most audits will identify at least one CAM, but there may be audits in which there are no CAMs disclosed. Why is the additional disclosure needed? Investors want to know more about complex areas of a company and the reporting of CAMs allows auditors to expand on the information previously disclosed as significant audit areas and risks. What matters will likely be reported as CAMs? The PCAOB’s release of AS-3101 is considered one of the most significant audit report changes of the last seventy years. Many of the areas disclosed in the CAM section of the audit report have been addressed as significant areas in the financial statement notes in previous reports. The addition of the CAM section allows auditors to expand on the disclosures and make complex issues more understandable to financial statement readers.